On his first journey with his family there is so much new to discover! Only too late he discovers that his horde is long gone. Luckily, shortly after, he meets Tribaldus, the hard-headed old stag beetle. Together they march on to the old Kröt, who always gives good advice. While they discover all sorts of strange things and meet Effi, the Kröt´s quirky and quick-witted little great-great-great-granddaughter, Mollö discovers a unique way of expressing himself. Mollö started as a crazy idea while eating dessert. Then there was the first illustration, then the thought to write a small story around it. It grew and grew and the pages of story quickly added up when suddenly we had a whole book before us. But that´s not the end of it: we realised we could try and explore new opportunities and ideas and right now the small Mollefant is a full-grown giant project. Not only thanks to the delicious tartlets with the molten chocolade core. I want to introduce you to a very special project today... I fell in love instantly with Mollö... A creature so very cute because he is so particular and unique and not a regular elephant. 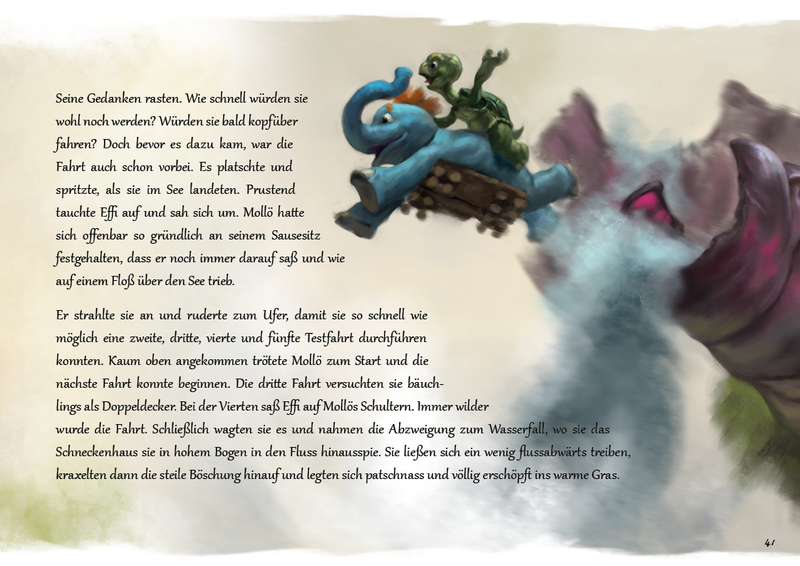 The two have been so kind and let me read the adventures of the small mollephant beforehand and I have to tell you: It´s totally worth it!! My husband has read a great deal of good children´s books in his role as a public reader, and this one will surely take part. The first reading was already fantastic and the illustrations are graphically nice and very appealingly crafted. My 7-year old daughter couldn´t get enough of it. In her real life Inga Schäfer is a mezzo soprano and studied at the Folkwang University of the Arts in Essen, Germany in singing and the viola. Besides guest engagements at different operas, chamber music and her activites at the SWR Vokalensemble Stuttgart, she discovered writing on Mollö. Timo Hilger has been working primarily as a professional concept artist in the entertainment industry in the past and besides that is very passionate teaching in different institutes as guest professor and lecturer. 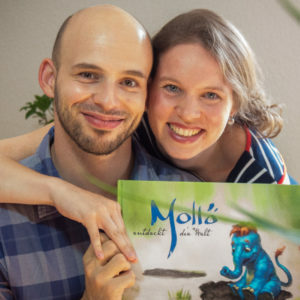 Mollö is the first children´s book he illustrated and it´s such a great experience that likely many more will follow.